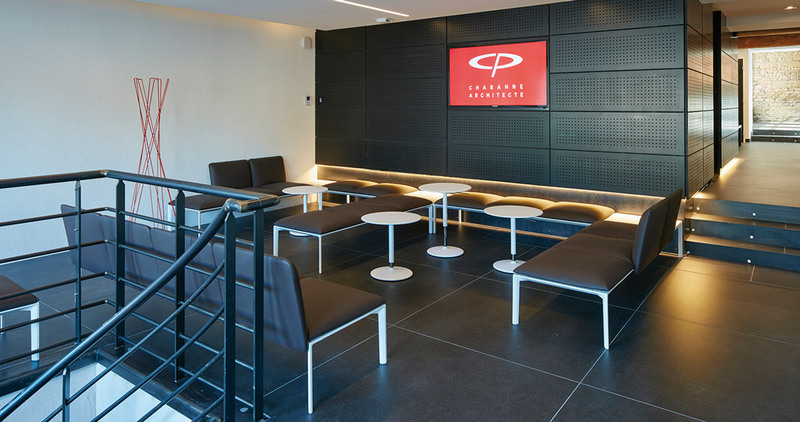 Just a stone’s throw away from the river Saona, in a unique location in the cosmopolitan French city of Lyon, one can find Space Air +, a multifunctional space aimed at holding professional events, ranging from presentations and conferences to private meetings, exhibitions and cocktail parties. Space Air + has the creation of a unique atmosphere that meets current business demands as its main objective, with particular focus being on creating new contacts among professionals from all sectors. Specifically, it is the search for the highest distinction and adaptability on which the design work carried out by the Chabanne + Partners architecture studio has been based. 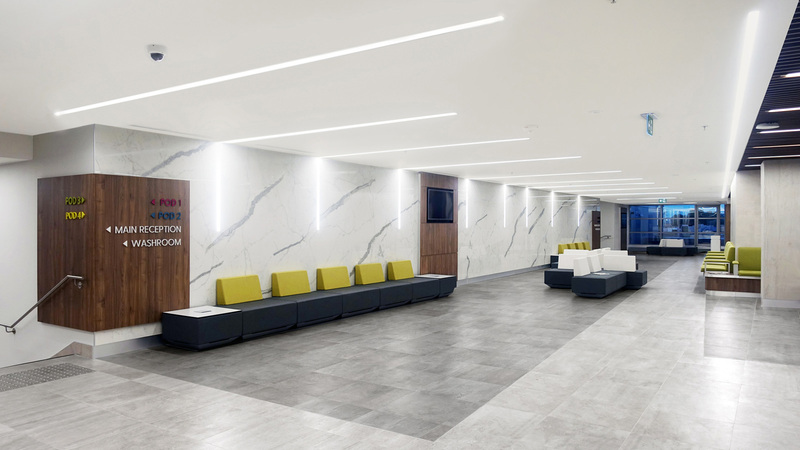 That firm is in charge of the building refurbishment project, where the PORCELANOSA Grupo has taken part through the STUC collection from the firm, URBATEK. 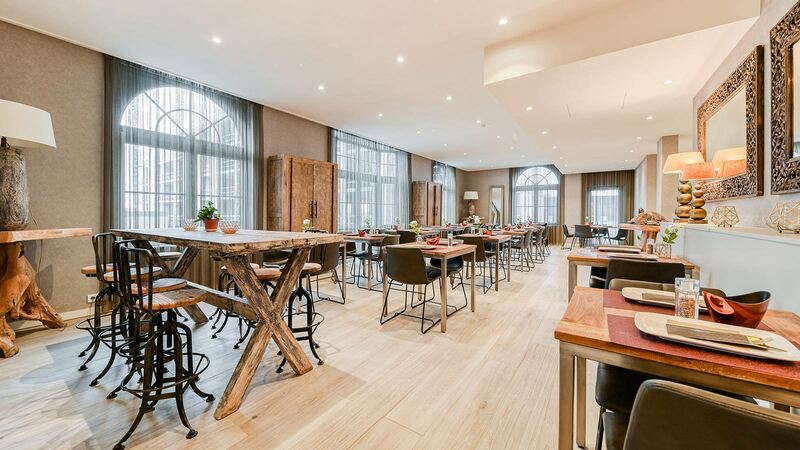 Making the most of the true character of the original construction, which was built with stone and wooden beams, it was one of the main premises of this project, where giving the building a new lease life and use were sought after. 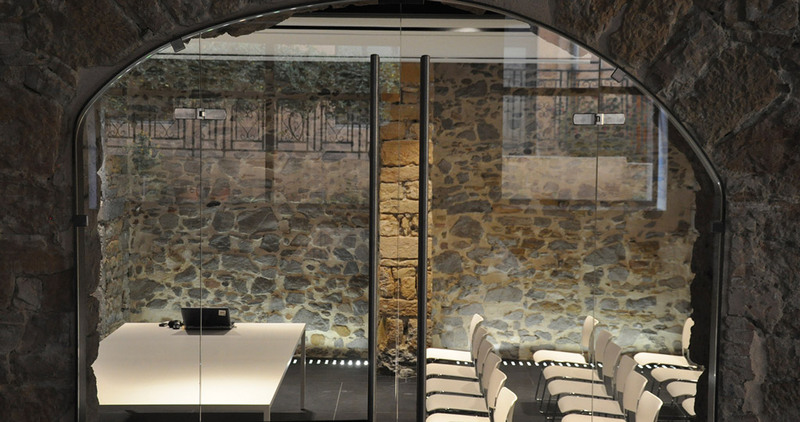 The textures of the older structure have been kept and new materials have been included which reinforce the original elegance and sobriety, therefore, a more functional space of contemporary design has been achieved. 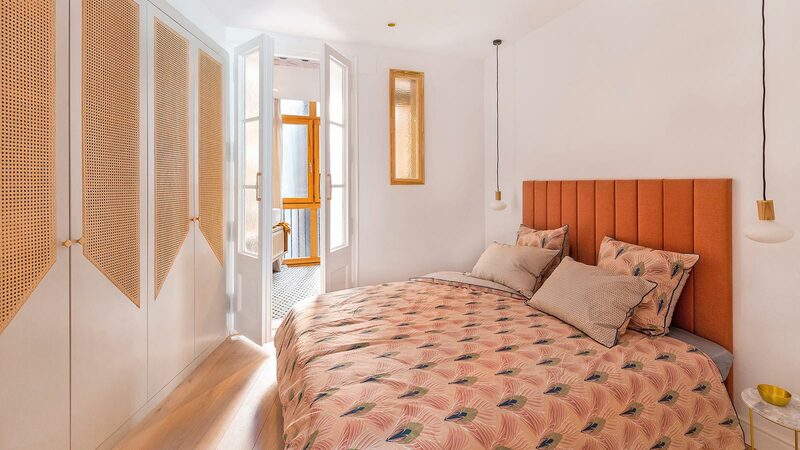 In this project, the choice of the flooring has played a major role since it must work as a connection between all the rooms and be a match with the building aesthetics. To do so, Chabanne + Partners have banked on the Ciclik philosophy from the Stuc collection by Urbatek, a type of large-format porcelain tile (119cmx119cm) manufactured with the reuse of raw materials. All of this with the highest technical quality and the most timeless designs, through an environmentally friendly work method. 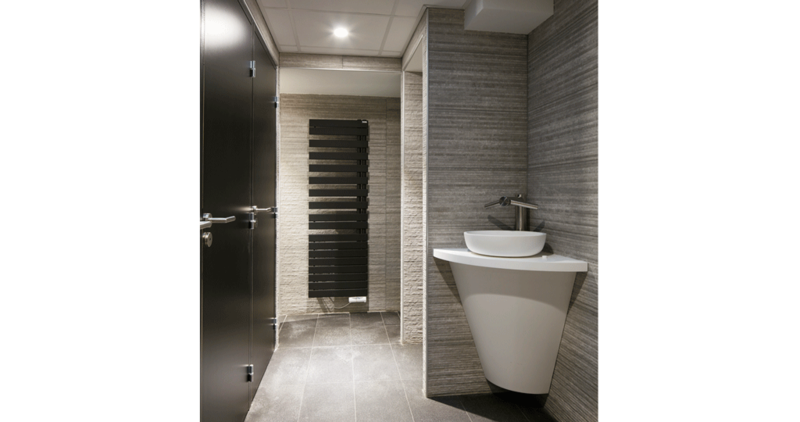 The great modularity and wide range of Stuc finishes have been achieved in order to perfectly meet the demands of this tough project, thus, providing the space with that sense of homogeneity and elegance which is typical of the sandstone which this ceramic piece is inspired by. Espace Air + has an area of 400m2, spread out over different areas which meet the demands of each and every event which is held in there. On the main floor, one can find an outdoor space which is completely open, thought up specially for holding presentations, and a big lounge area for cocktail parties. 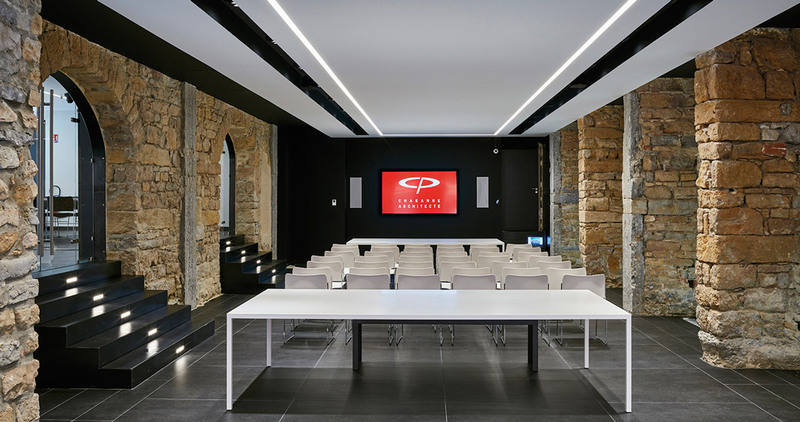 Additionally, on the first floor, one can find the conference room and a private meeting room for exhibitions and meetings. 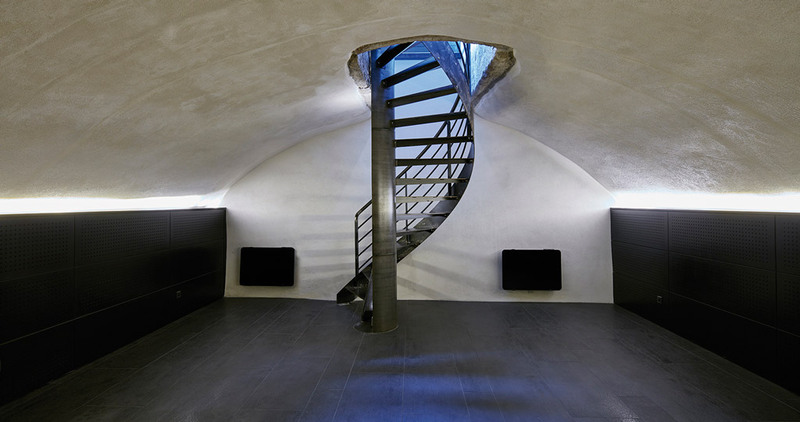 Last but not least, the space is completed with an exclusive industrial-style wine cellar located in the basement, where a more intimate aesthetics has been sought after by providing the original vaulted architecture with importance and integrating a metal access stairway to give it a more modern appearance. 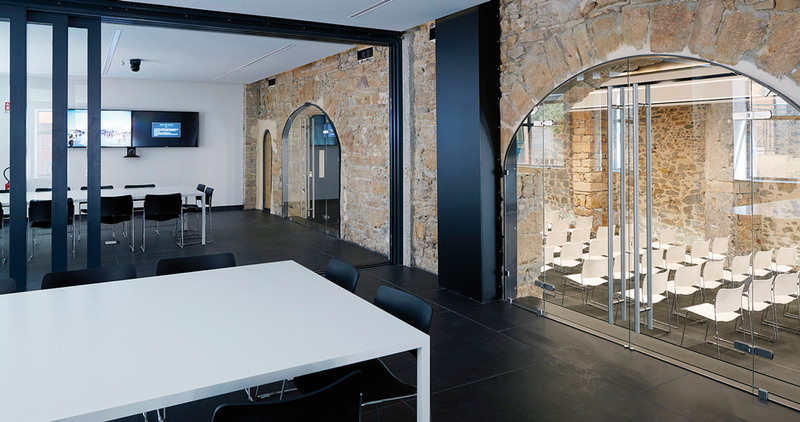 In conclusion, Space Air + achieves in perfectly combining the real character of a building with its very own personality and innovation through the materials in order to get a more functional space, and at the same time, keeping hold of its original essence.